1. From the My Publications page open the publication you wish and click the Edit Settings button. 2. 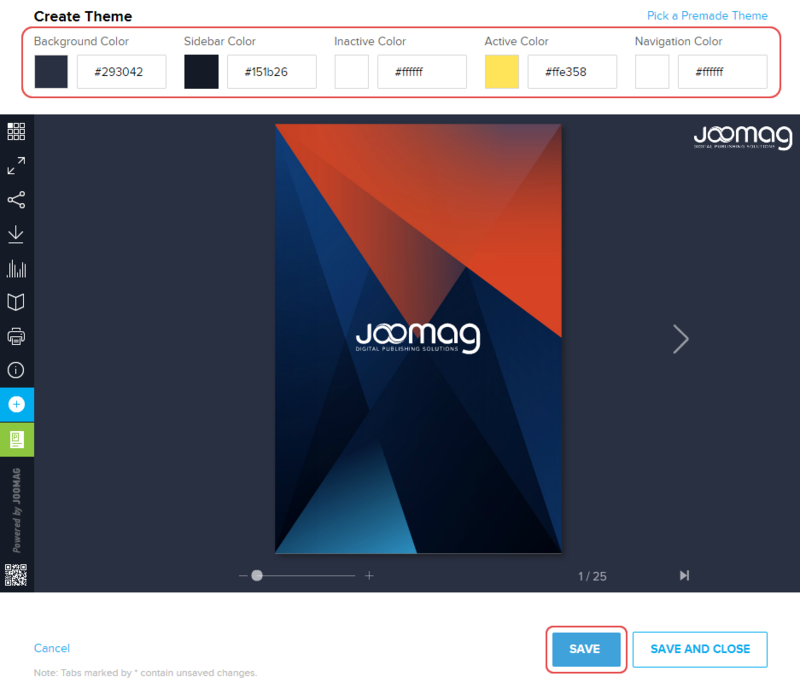 Go to the VIEWER tab and pick a premade theme for your publication or create a new one. 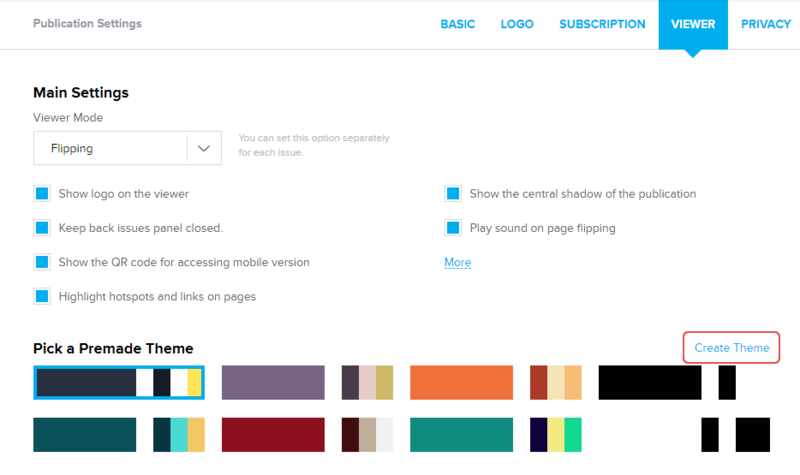 For creating a new theme click the Create Theme link. 3. Pick the colors you wish to change and click the SAVE button. Note: This feature is available with our Premium plans.